Closet organization for adults is hard, but can be more challenging in a smaller kids' closet. Whether you like it or not, potential home buyers will be looking inside all your closets to find out if there is enough room for their items, and kids’ closets are no exception. They will open every door to find if more space is needed. 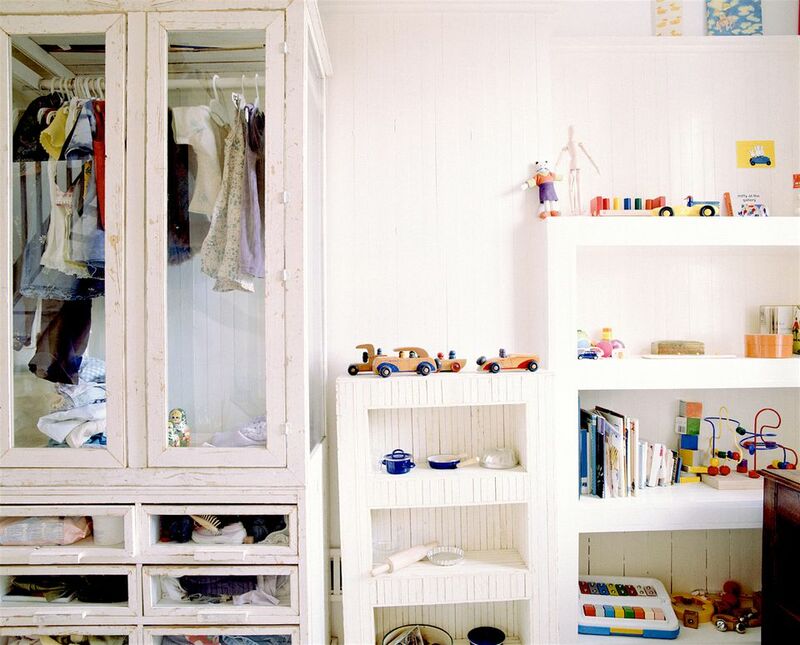 Overstuffed and cluttered kids’ closets are an alarm to home shoppers as they will assume that the rest of the property is too small and lacking in storage space. On the contrary, neat and organized closets, even tiny ones will definitely appeal to buyers. Here are some decluttering and closet organization tips that will help you impress the potential home buyers. The first step to organizing a kids’ closet is to remove everything present inside. While this may seem like a tedious job, take this as an opportunity to get a head start on packing. As you pull out everything, start sorting it into categories like out-of-season clothing, damaged clothing, daily wear etc. Only keep the must-haves that your kids would need while you are still living there. Donate or toss items that you don’t plan to keep. Also, make sure that your kids’ closet is not doing double duty as storage for some of your old items. Not only will make the wardrobe appear tiny but will give an impression to buyers that your home lacks space. So, if you find anything adult in your kids’ closet, pull it out immediately and pack it away. For space saving, kids' furniture ideas take a look here. Once your kids’ closet is clean and empty, it’s time to determine the type of closet organization system will work best. See if there is room to install another rod to create more hanging space? Or if there is more space for shelving? Adding a variety of storage bins and baskets is also a great way to help control clutter buildup. Visit your local home supply store and look for ready-made closet organizers. There are a lot of inexpensive options to choose from and home buyers love them! Make sure to think small when picking closet organizers for young kids. Small cubbies, drawers, and storage bins make it easy for little ones to find what they are looking for without creating a mess. This picture shows how closet organization could be applied to open shelving too! When it’s time to sell, you will want to stage your kids’ closet with matching hangers. Regardless of how uncluttered or organized, the closet is, it’s never going to look appealing put together with a couple of mismatched hangers. Invest in some inexpensive, but sturdy plastic hangers all in the same color. But make sure to buy the ones that are size appropriate because some children’s clothing falls off the hangers made for adults. While you are at it, don’t forget to decorate your little one's wardrobe closet. Consider it a part of staging and have fun with the design by adding personality and details. Just as adults appreciate special finishing touches, kids love it too. Consider painting the closet walls with a fresh coat of paint. Pick a gender neutral shade that is universally appealing. Also, swapping out old, boring drawer knobs with the ones that have cooler designs is a great idea. Look through these kids' wardrobe storage ideas for inspiration. The quality of your kids’ closet speaks volumes to potential buyers. What they say to them not only makes a difference in whether they make an offer or not but also what kind of an offer they make for your home. So use these closet organization tips and stage it to create an illusion of more space in your home. Moreover, by displaying potential buyers that you take great care of the closets, they will believe that you do the same for the rest of your house too!